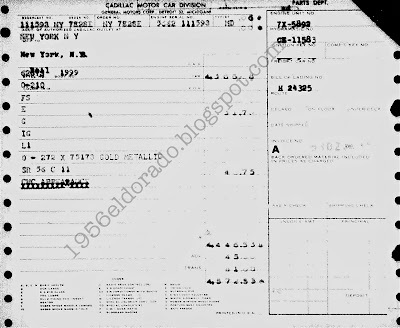 1956 Eldorado Biarritz Survivor Roster: One Millionth Post War Cadillac Positively Identified! 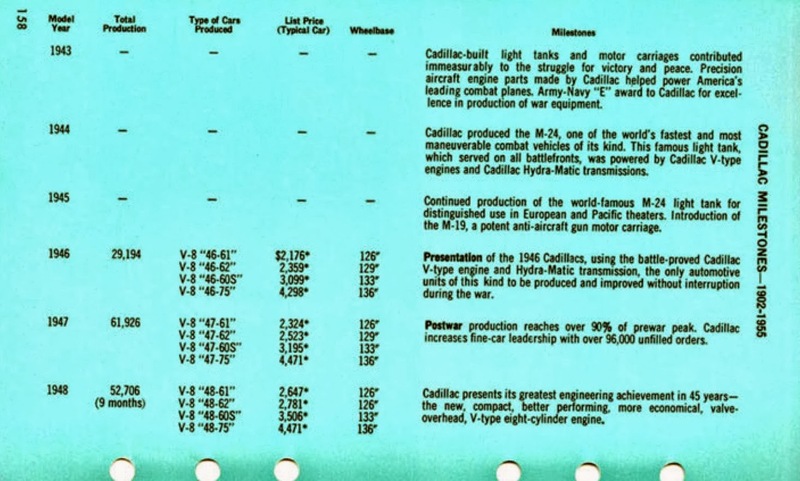 One Millionth Post War Cadillac Positively Identified! Not too long ago we featured Body #891, an Emerald Green Eldorado that fit the bill as the one millionth post war Cadillac built. 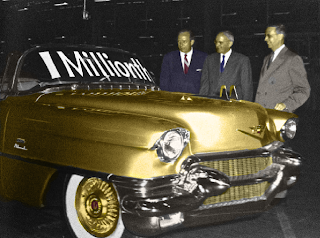 The color, options and vehicle history perfectly matched the description that was rumored to be the one millionth Cadillac. 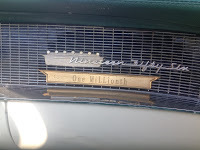 It even has a plaque on the dash. There was one thing about #891 that did not correspond with what was known about the one millionth car. Body 891 was built in January, the one millionth car was built during the week of May 28th according to a Cadillac press release. Hmm, quite the predicament. 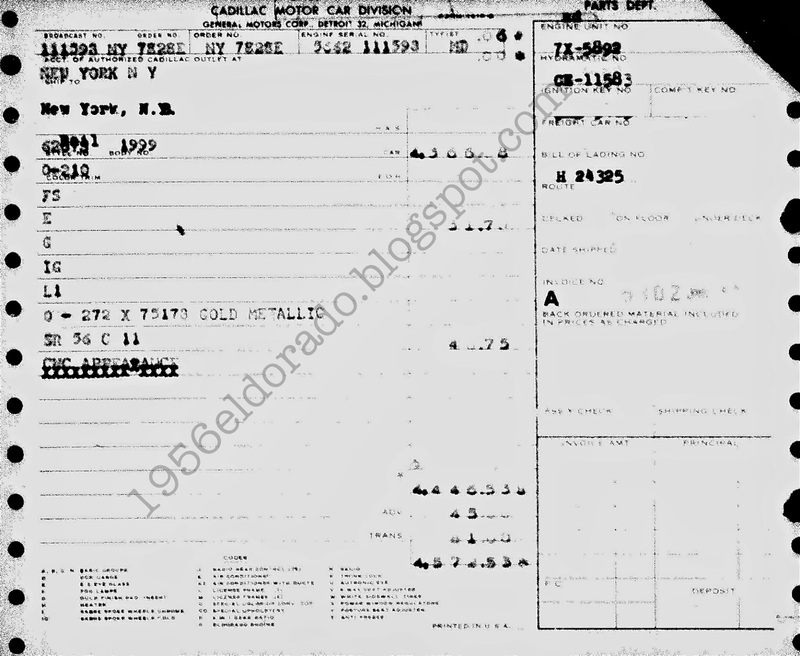 Well there is one sure way to solve this, get the "built" sheet to the car built during the week of May 28th, 1956. To order the sheet, we would need the serial number. The question begs, how do you go about getting the serial number to a car that is not known to have survived??? Well in this case, it wasn't that difficult. We just have to count to 1 million :) Here is how I figured it out. 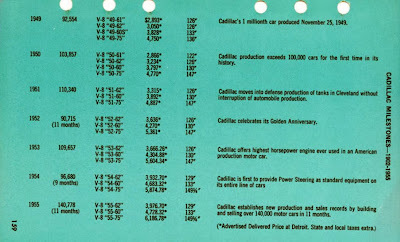 In the back of the 1956 Cadillac Data Book, Cadillac list the production totals for every year. 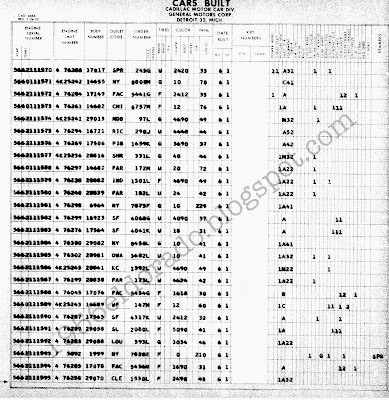 Below you will find the data book info pertaining to the post war yearly totals. Note the text "Gold Metallic" were the paint code would be. Also note the CWC(CNC?) APPEARANCE text. Not sure what that means. Anyone know? The one millionth Cadillac is third from the bottom. 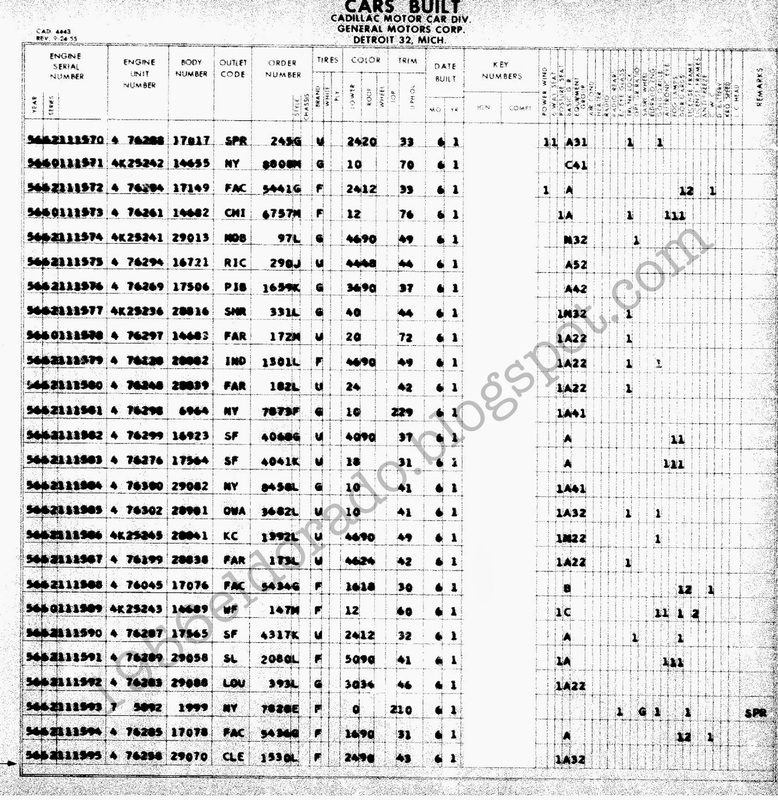 Take note of the "0" in the color column and the SPR(special request) notation. 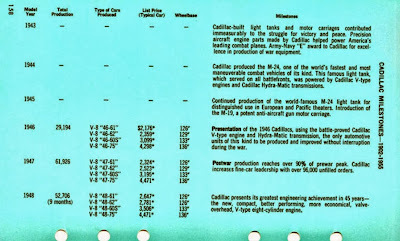 When special order colors or trim was ordered, a 0 was used as reference. Some other info obtained from this paperwork. This special car was shipped to the New York City dealership that was owned by GM. It was not a fully optioned car either. No A/C, no Autronic eye or power trunk. Also important to note the price on the invoice is the dealer net, not retail. Another tidbit. On June 1st, another special order Eldorado was built. 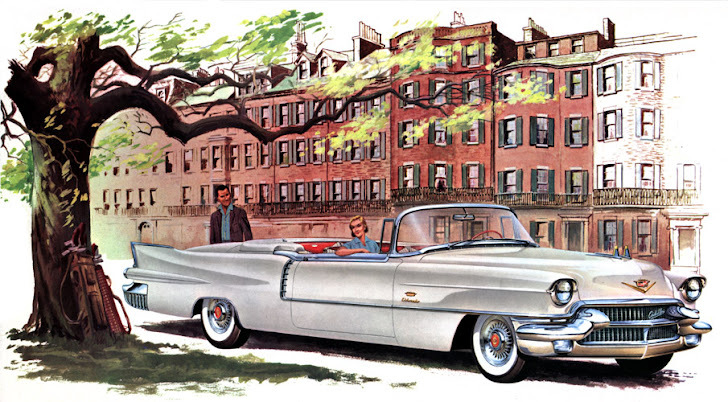 The Elvis Eldorado was built shortly after this car. 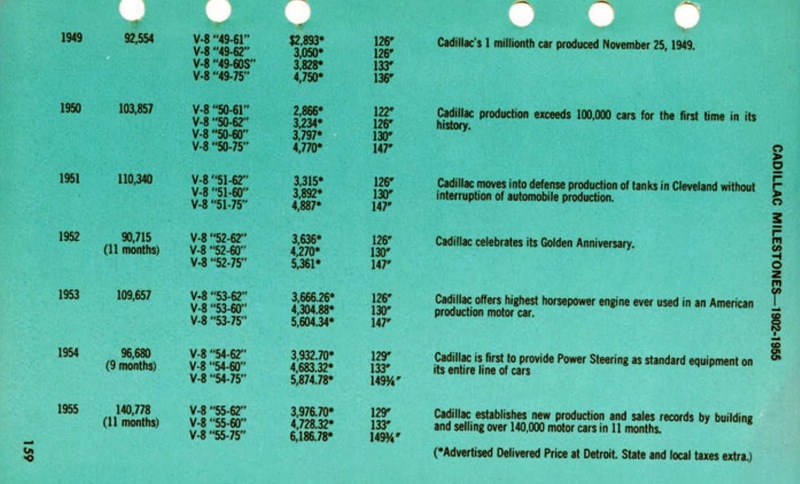 What a day for Cadillac history! This "One Millionth" Eldorado may still exist. so please be on the lookout for body #1999. We should also take nothing away from body #891. 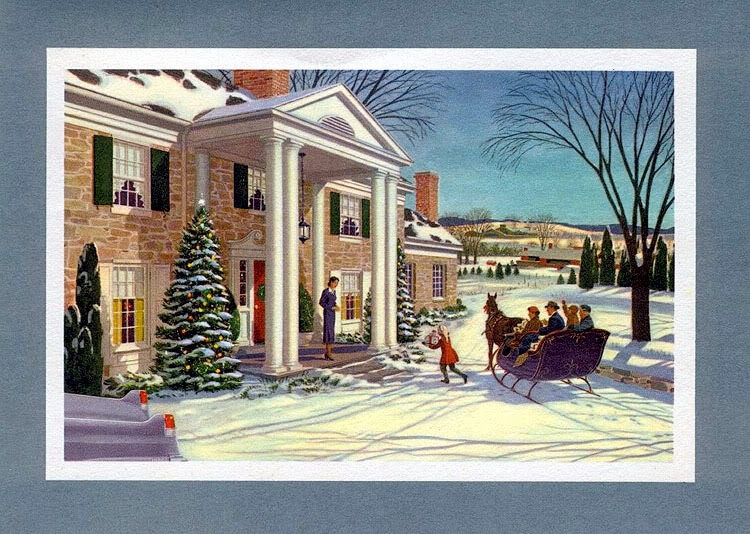 It's an authentic fully optioned Emerald Green Eldorado Biarritz. A fantastic car by any account! Thank you for all of the support & Happy Holidays.